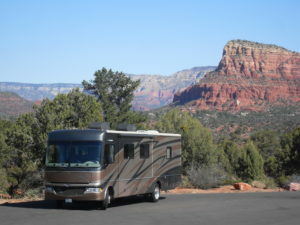 For many travelers, the Class A motorhome is the answer. These large, luxurious RVs resemble a celebrity’s tour bus, offering ample space and plush amenities with footprints up to 45 feet long (and occasionally even longer). While there are many different types, styles, and sizes of RV on the market, if you’re traveling with a big family or looking to bring indulgent amenities and furnishings to your camping trips, a Class A RV might be the right model for you. 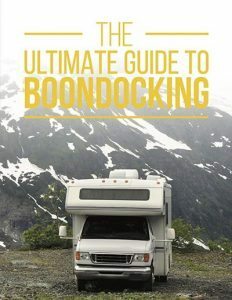 In this post, we’ll break down everything you need to know about these large motorhomes, including different engine types, regularly-featured amenities, popular and reliable class A motorhome manufacturers, and even your best bet for renting one without draining your travel budget. Ready to get started? Then read on for a deep dive on these unique and opulent recreational vehicles. Before we get into the nitty gritty on Class As, let’s take a quick overview of the basic classes and types of RVs you’ll find on the market. 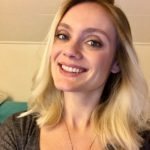 Although we’ve written about this topic in depth before, if you’re a total beginner, it’s helpful to get a quick outline. Although in many ways they’re the most impressive, Class A motorhomes are only one style of RV in a world filled with a diversity of recreational vehicular choices. Below, we’ll lay out the basics of the most popular types you’ll see on dealership lots. While we’ll obviously get into a lot more specifics throughout the rest of the post, Class A motorhomes are the large, bus-shaped rigs you might associate with celebrity tour vans or exclusive motorhome resorts. They range from about 20 feet to 45 feet in length and can sleep up to 8 or 10 passengers, and sometimes even more, depending on their specific configuration. 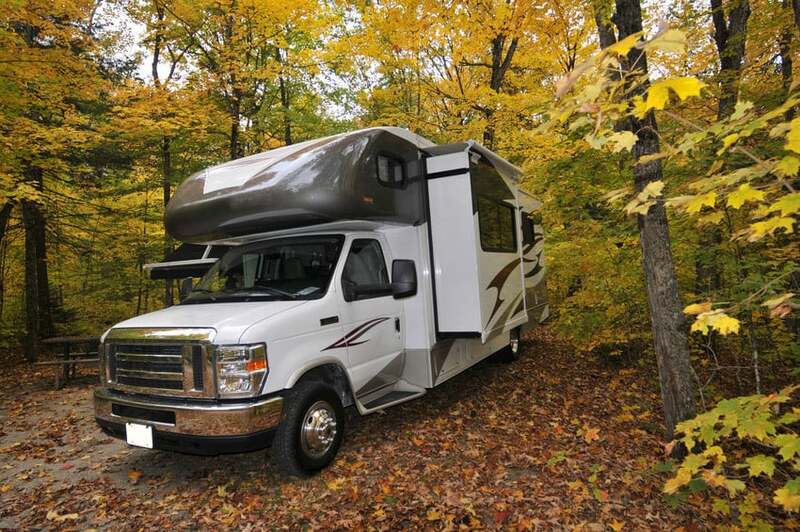 A Class A motorhome might be run on a gasoline or diesel engine, and may include one or more slide outs to increase the interior space while camping. They often feature luxurious amenities and furnishings, including full-sized kitchen appliances, plush leather pull-out bed sofas, large closets, and sometimes even washing machines and bath tubs. Sometimes known as sleeper vans or camper vans, class B motorhomes might not be the style of vehicle that you first think of when you’re thinking about RVs. They look more like large vans than houses on wheels, and sure enough, they have much less living space and can sleep far fewer passengers than their Class A and Class C counterparts. 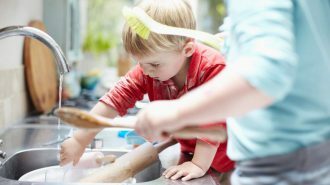 They may also lack full-scale facilities, foregoing a shower or oven to save space (though most have basic kitchenettes, with mini-fridges, microwaves, or small-sale burners). But what Class Bs lack in space, they more than make up for in flexibility. 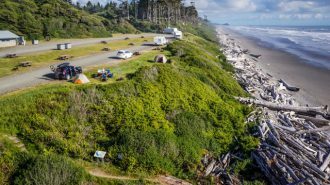 One of the main drawbacks of driving a very large RV is difficulty navigating narrow or unpaved roads… which are often the same roads that lead to some of the most amazing camping spots on the map. A Class B motorhome is a great option for a solo traveler or adventurous couple who isn’t afraid to get cozy. They can afford the opportunity to pick up and go just about anywhere, so long as you’re willing to give up a few creature comforts. The Class C motorhome is kind of like the Goldilocks choice in the recreational vehicle world: not (usually) too big or small, and still offering all the same conveniences as luxurious Class A models at (again, usually) a fraction of the price. You’ll recognize these motorhomes by their iconic over-cockpit “attic,” which is often used as an additional sleeping surface or storage space. Class Cs afford travelers slightly better mileage than their Class A counterparts while still packing a major punch in terms of amenities and livability. They’re also coveted for their straightforward driving experience — since they’re built into the chassis of a regular pickup truck, many campers feel less intimidated about driving one of these than they would a Class A, even if it’s almost as big and weighty. Travel trailers are towable RVs, meaning they require a secondary vehicle in order to operate. However, because they don’t have an engine of their own, they’re also available much more affordably than self-propelled motorhomes — although this doesn’t factor in the cost of the tow vehicle. 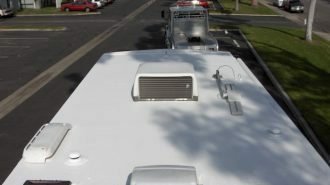 Travel trailers also offer the benefit of additional living and storage space since they don’t have to devote any of their footprint to a cockpit or chassis. And when you have to use an SUV or truck in order to move your RV, that means you automatically have a smaller “breakaway” vehicle with which to explore your destination once you arrive. Travel trailers have their whole own set of shapes, sizes, and categories, from sprawling fifth wheels to teeny-tiny teardrop trailers and everything in between. While we don’t have time to go into all the specifics here, we cover them in more detail in our deep dive post on different types of recreational vehicles. One of the reasons Class A motorhomes are so attractive to some travelers is because of their exceptional size. Apart from fifth wheel travel trailers, which require large and powerful tow vehicles, Class As offer the largest RV living spaces you’ll find — and they have the added benefit of being self-propelled and therefore fairly easy to operate and set up camp with. 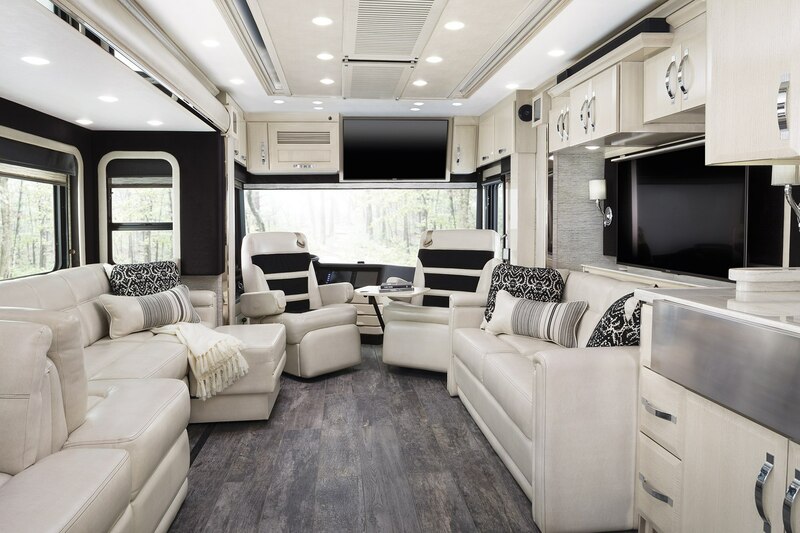 With up to 45 feet of length, Class A motorhomes come in a wide variety of interior footprints, including rear queen bedrooms, bunkhouse arrangements, and many other highly customizable living spaces. 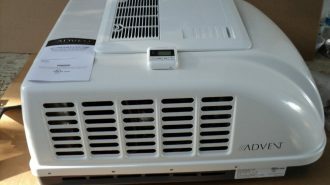 Many also include one or more slide outs, which help increase room size dramatically while the RV is set up for camp. These size considerations make Class A motorhomes ideal for those traveling with large families, as well as those who’d just like a little bit of extra room to spread out in. Perhaps you’ve got a large quantity of adventure gear to take along with you, like bicycles and kayaks — or perhaps you just want to be able to kick back and relax without worrying about anyone cramping your style! Either way, traveling in a Class A RV is a great way to combine large living space with the simplicity of start-and-go operation. Alright. Ready to break down the specifics about these first-in-class recreational vehicles? Here are the details you need to know about Class A motorhomes. As mentioned above, Class A motorhomes are often large RVs, coming in at up to 45 feet in length — although smaller versions in the 20- and 30- foot range are also available. They feature a wide range of amenities, including full-sized kitchen appliances, queen bedrooms, bunkhouses, dinette sets, entertainment systems, slide outs, and much more. 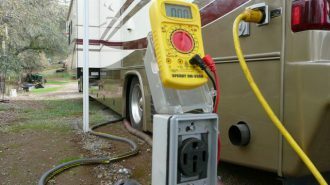 A Class A RV is usually fully functional for offgrid camping, including a propane-fueled generator along with its regular utility connections. Most Class As will draw at least 30, and up to 50, amps of electricity, whether you’re hooked into shore power or running your generator. 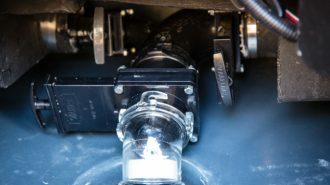 Class A RVs also come with built-in plumbing systems, including gray, black, and freshwater holding tanks of up to 50 gallons each, as well as water heaters. The exact features you’ll get depends a lot on the specific make and model of vehicle you rent or purchase. Different manufacturers specialize in different setups and uses, and most offer a wide range of footprints and layouts in order to meet as many campers’ needs as possible. Although it’s true that Class A motorhomes are often stacked with unparalleled amenities and luxury RV accessories, that size and power does come at a cost… and we’re not just talking about the initial cost of actually purchasing the vehicle. (Which can also be pretty substantial — we’ll go into that in more detail further on in the post). Getting these hefty, well-outfitted vehicles moving requires a lot of energy, which, of course, means lots of fuel use — which means class A motorhomes aren’t exactly renowned for their super-efficient gas mileage. But for many travelers, the relatively high fuel cost is worth what you get in return: a comfortable, capable vehicle you can relax in and rely on. 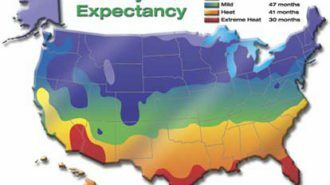 Plus, smaller RVs often aren’t very much better in this regard; a mid-sized Class C might get you up to about 10 or 14 miles per gallon, which still means fuel is going to be a considerable expense. The good news is, manufacturers are working hard on finding ways to make RVs of all shapes and sizes more fuel-efficient, which means you might not have to burn so much to get where you’re going in the Class A motorhomes of the future. Which brings us to another important consideration with this style of RV: whether your rig comes with a gas or diesel engine. What is a Diesel Pusher? Some manufacturers exclusively create Class A diesel RVs, while others allow consumers to choose between gas and diesel versions of their rigs. While a diesel configuration may come at a larger upfront expense, many campers feel confident they function better in the long term, and make driving much easier and more efficient especially in hilly or mountainous areas with steep grades. 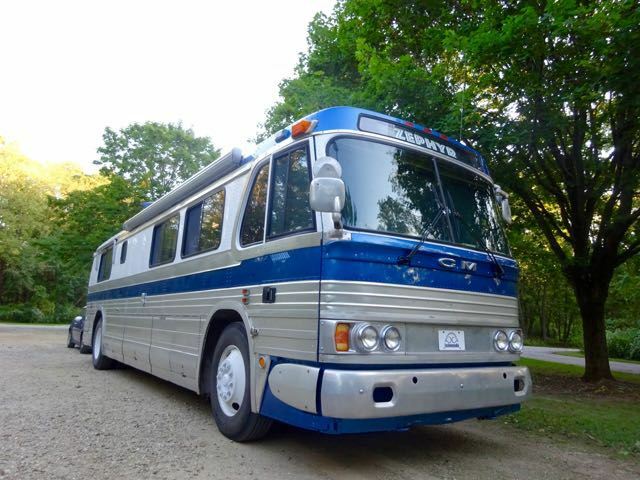 Although technically a totally separate RV class, converted vintage busses are sometimes considered Class A RVs. 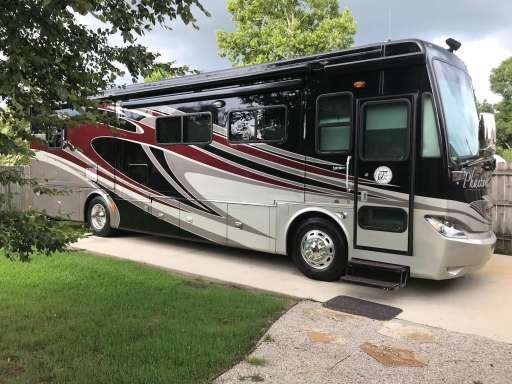 And for the traveler looking for a totally-customizable, high-powered option that still offers the living space and luxury of a floor model, turning a bus into an RV is a fantastic option. 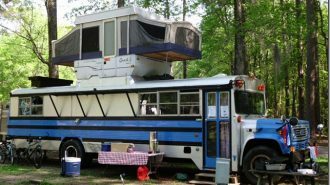 RV bus conversions are totally unique to the individual owner/renovator — though many people purchase their converted bus from someone else rather than doing the work themselves. After all, it’s an extensive project, requiring the entire existing interior to be gutted and then outfitted with custom fixtures. In most cases, these old buses don’t have existing coach power or plumbing systems, and so these must be retrofitted anew. 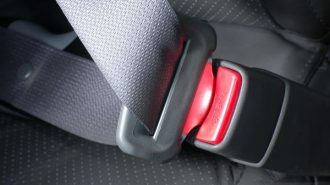 In some scenarios, the engine and driving mechanisms may also need extensive repairs or upgrades. Furthermore, converted busses usually can’t compete with prefabricated Class A motorhomes in a few key regards. They won’t have slide outs, for one thing, and they’re often built on stick-shift transmissions, which many modern drivers don’t know how to use. What they lack in drive-off-the-lot convenience, however, converted busses make up for in style and customizable function. Aside from their size and capability, let’s be honest — there’s another reason Class As get a lot of the buzz in the RV world. 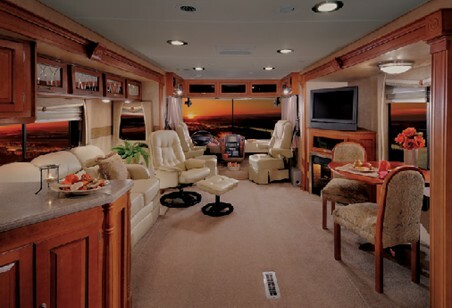 It’s because large, Class A RVs also tend to be some of the most comfortable and well-appointed. 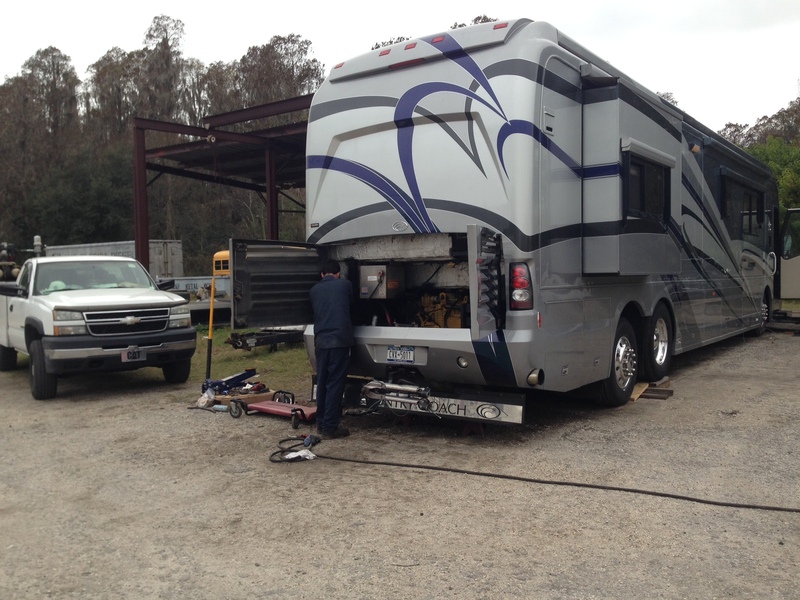 That is, if you’re looking for a luxury RV experience, it’s hard to beat a Class A motorhome. 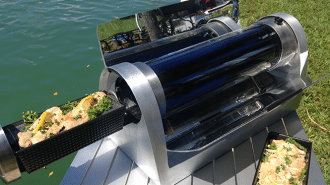 In fact, depending on the specific model and manufacturer you choose, there’s a possibility that a high-end Class A RV might just be nicer than your actual sticks-and-bricks home. 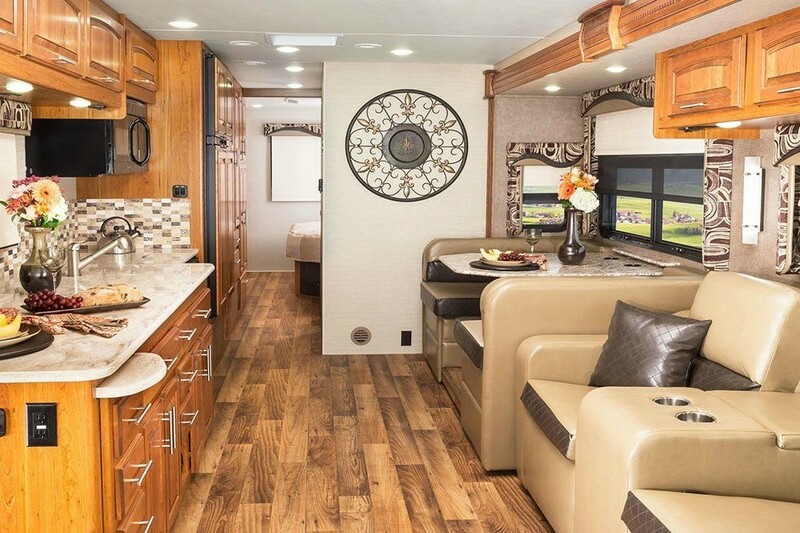 With hand-picked amenities and custom-designed RV interiors, some luxury Class As cost as much as a million dollars when you purchase them new from the dealer. 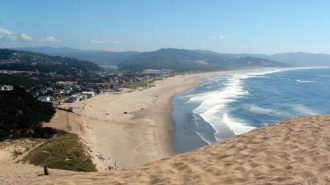 From breezy beachfronts to gorgeous golf courses, here are some of the most exclusive RV resorts and motorhome clubs in the country. Hey, if you’re in the market for a Class A… you might just end up putting a few of them onto your destination bucket list! While many RV manufacturers create all sorts of different RV body styles, shapes, and types, there are quite a few that specialize solely in Class A motorhomes. In fact, some are even narrower in scope, and create only diesel vehicles! It’s always difficult to make product recommendations based on manufacturer and brand name. 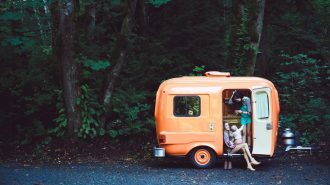 Although these marketing tools do end up creating reputations, the reality is, in today’s day and age, our technology means the vast majority of recreational vehicles are well-crafted enough for regular vacation use. Instead of relying on what you’ve heard about a specific make, we recommend going and checking out as many different models of RV in person as possible. That way, you have a first-hand experience of what, exactly, each manufacturer has to offer. While there’s no one answer to the question, “Which is the best Class A motorhome?” — finding the right one for you and your family takes time, patience, and research. One of the very best ways to see and experience as many motorhomes as possible in a short time is to attend an RV show or expo. You’ll be able to walk through rigs from not only a multiplicity of manufacturers, but also a variety of area dealerships, which means you’ll get a feel for the people you’d be purchasing from. In many ways, that relationship is just as important as the specs of your prospective vehicle, so be sure to take your time during your walkthrough and ask as many questions as possible! Psst — not sure when the next RV show or expo is in your area? 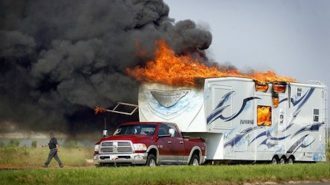 Check out our archive of RV events organized by state. Chances are, there’s a fun and useful opportunity coming up soon somewhere near you… or in a destination you’ve been meaning to visit! 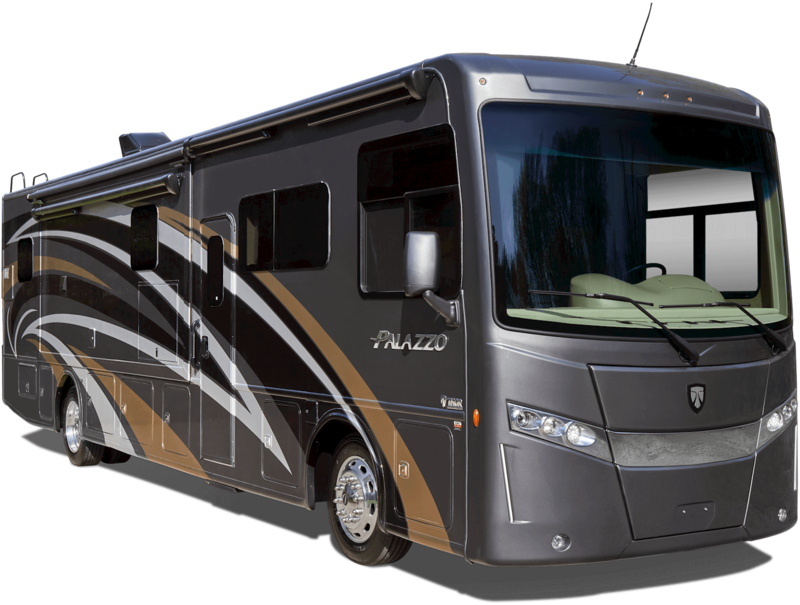 Below, we’ve listed and described some of the most commonly-known RV manufacturers that deal specifically with Class A models. 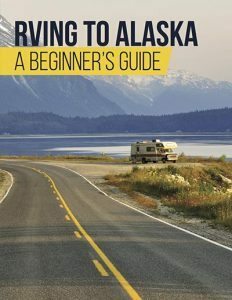 But you can also check out our giant guide to even more RV manufacturers, including those that craft travel trailers and other classes. 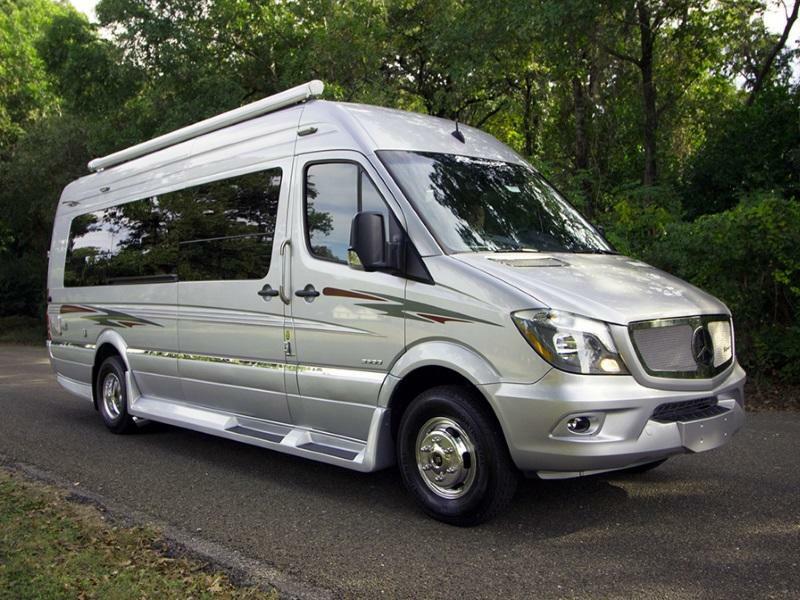 When it comes to luxury motorhomes, Newmar Corporation is one of the best-known manufacturers in the business. It also has the distinction of offering some of the plushes, priciest rigs you can find, with certain optional build features pushing custom-designed models as high as a million dollars. That might sound like a whole lot to spend on an RV, but with Newmar, you definitely get what you pay for. These RVs are crafted with a painstaking attention to detail and build quality which keeps them in running order for many years and camping trips to come. Although a brand-new Newmar might be outside of most of our budgets, because these RVs hold their quality for a long time, buying one used is a great option for getting an amazing deal on an amazing rig. 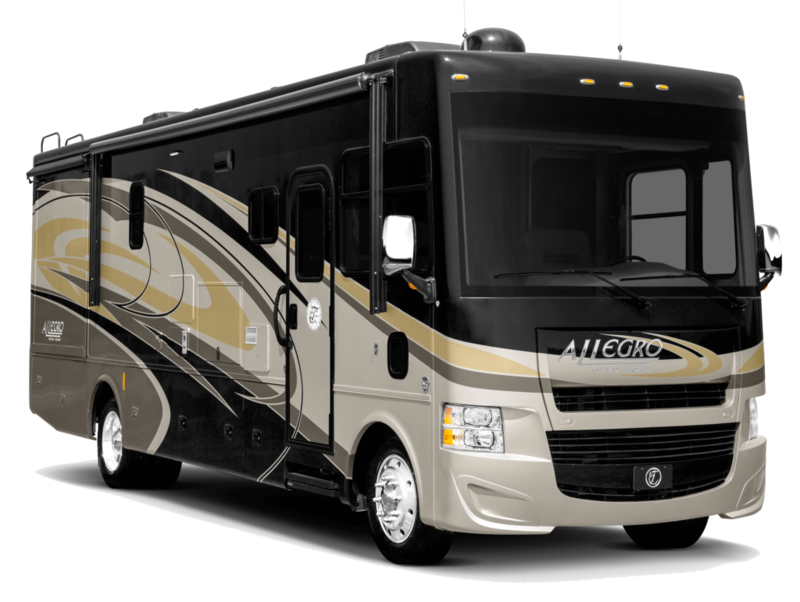 Their Class A coaches come in both gas- and diesel-powered options, and are often available on RVtrader and other used RV classifieds lists. Well-known for its high-end line of class A diesel motorhomes, Thor Motor Coach does also create smaller Class Cs as well as Class B vehicles. Their Class As include the Hurricane, the Challenger, the Mirimar, and their Palazzo, Aria, Venetian, and Tuscany coaches are exclusively diesel-powered. If you’re still not exactly sure what kind of RV will work best for your camping needs, it’s fun to play around with Thor’s “What RV Fits You?” tool, which can provide some insight into the size and amenities that’ll meet your travel preferences. You can also custom-build your own Thor Class A motorcoach and purchase it new directly from the manufacturer. Known for high quality and craftsmanship in all of its products, Tiffin Motorhomes creates Class A rigs as well as high-end Class Cs. 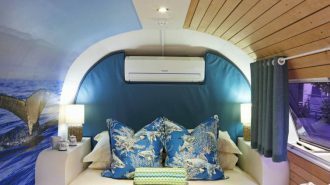 Their coaches are built with both gas and diesel engines, and are stocked with top-quality amenities and furnishings to complete their ample living spaces. 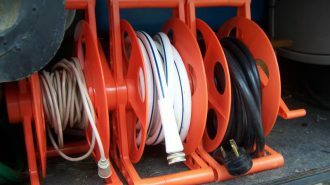 For even more information on these and many other RV manufacturers, click here. The thing is, when it comes to Class A motorhome rental, the sky-high per-night prices can stand in the way. 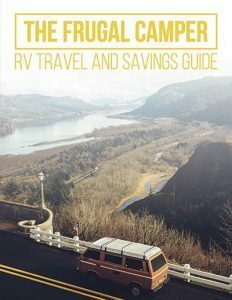 Given the amenities and conveniences of these RVs, some of the large, nationwide dealerships charge as much as $300 per night for a Class A diesel pusher… and that’s before you factor in any of the other costs of your trip, including campsite accommodations and fuel (which, as discussed above, is a pretty significant figure when you’re talking about a Class A!). Renting through RVshare is a great way to experience the Class A camping lifestyle without paying a traditional rental agency’s Class A prices. That’s because when you rent directly from an owner, you get to bypass paying for all the overhead business expenses like keeping the lights on at a dealership floor or paying for a large (and potentially unreliable) customer service team. The peer-to-peer market simplifies your rental experience and makes it into a one-on-one relationship between you and a real, live RV owner. In fact, many renters and rentees report forging lasting friendships through the process of their RVshare interactions. Furthermore, those interactions are as safe and secure as possible, since they’re all completed exclusively through our easy-to-use platform. And with 24/7 roadside assistance and comprehensive insurance coverage for each rental period, you won’t have anything to worry about aside from getting where you’re going. 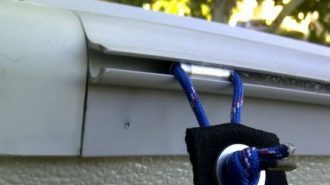 Whether you’re traveling with a big family and hoping to keep everyone feeling like they’ve got a little piece of privacy, or you’re a smaller camping party — or even a solo adventurer! — who simply refuses to forego the finer things, a Class A RV might be the perfect way to bring comfort and ease to your road trip. 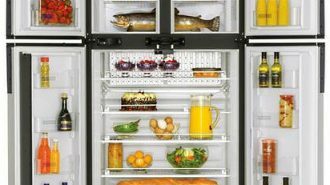 They offer more sleeping space, more storage space, and the types of appliances and furnishings that’ll make it feel like you never even left home. For these reasons, Class As are also an excellent choice for campers looking to take the dive into full-time RV living; when you’re going to be calling your rig “home” in a permanent basis, you definitely want to make sure you have all the amenities and living space you can get. No matter what you’re planning on using your Class A RV for, and whether you’re renting one or purchasing one outright, we can’t wait to hear more about your adventures — and to help you make them amazing, every single step of the way. 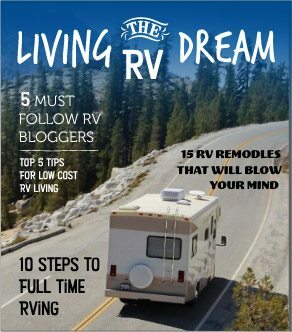 To that end, here are a few more RVshare articles that can help beginner and first-time RVers master the process of vacationing in these unique vehicles, as well as choosing destinations and even deciding whether or not a rig is right for your family to purchase.